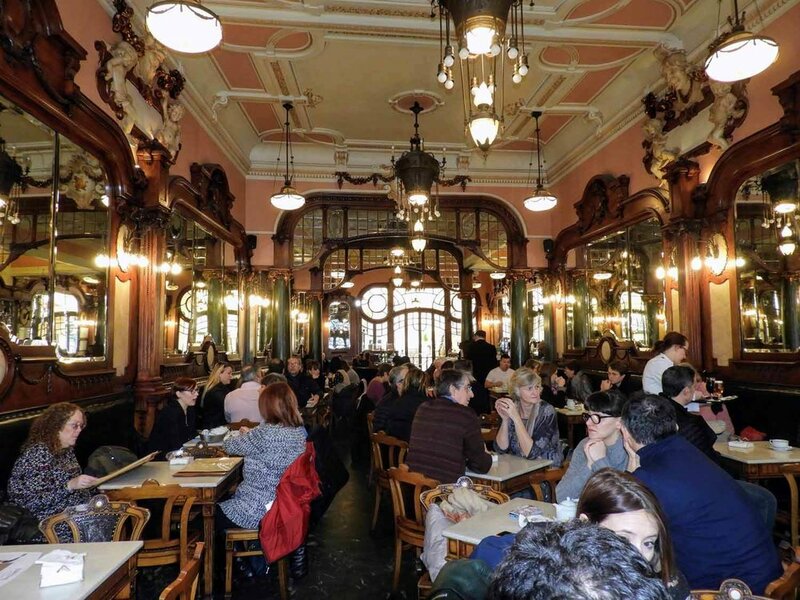 Stepping through the doors of Cafe Majestic is like stepping back into time. Immediately you are immersed in the 1920s charm and glamour of upper class socialization and relaxation. The interior is complete with wood-framed art nouveau arches, detailed metalwork, antique mirrors and plaster sculptures. Cafe Majestic opened in 1921 as Cafe Elite and throughout time has been seen many distinguished visitors including J.K. Rowling, who frequented the cafe while working on the first book of the Harry Potter series. Here, we enjoyed some overpriced (yet delicious) hot chocolate and Pastel de natas. Fun fact! The Portuguese word “Natas” also means cream. So, when we ordered "chocolate quente com natas", they thought we meant hot chocolate with whipped cream. Perhaps the most beautiful bookstore in the world, Livraria Lello wows visitors with its old world charm and whimsical design. It's said J.K. Rowling was a frequent customer of the bookshop and drew inspiration from it's unique details!